Description: This WebQuest is made to inform kids about the negative effects of cyber-bullying and is aimed to promote the awareness of cyber bullying in order to help kids to learn internet safety and to deal with cyber bullying. 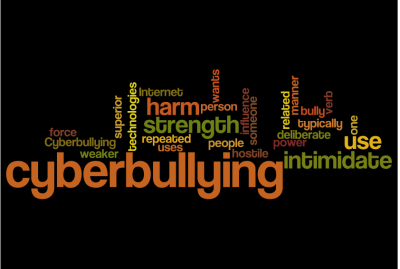 Cyber-bullying is one of the most dangerous forms of bullying because people can bully anonymously and it can be really scary for the victims. Victims can get humiliated, tormented, hurt emotionally and if it gets bad, it can lead to suicide. We hope that our tips come in handy!